Erling Riis, III, is well-known for his community leadership and service to others, a legacy which began as an undergraduate at The University of the South. 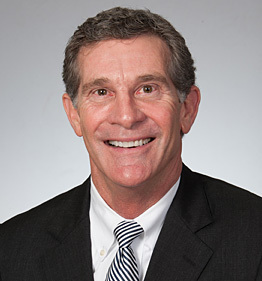 He entered the insurance profession in 1990 and has earned numerous industry certifications and awards since that time. Clients appreciate his expertise in hard-to-place coverages, such as Directors and Officers Liability, Cyber Liability and Media Liability, among others. Erling has served the industry locally and nationally, as past president of the Mobile Association of Independent Insurance Agents and as the Mobile representative to the National Legislative Conference on Insurance Issues. When he’s not assisting clients, Erling devotes his time to numerous civic organizations. He has held leadership positions in Mobile Area Chamber of Commerce, the Mobile Rotary Club, Touchdown Club of Mobile, Coastal Conservation Association, Mobile Arts and Sports Association and Salvation Army, to name a few. He and his wife, Jeri, have two sons and are active members at Spring Hill Baptist Church.